The hair can be both a beautiful natural accessory and a cause for discomfort and inconvenience. It is one of the most vulnerable and exposed to external harmful influences parts of us. There are many factors that damage the hair, makes it thin, it starts breaking and falling, leading to a hair-loss condition that troubles us all. Moisture, strong and harmful sunlight, wind that constantly throws dirt into it; poor nutritional habits – lack of vitamins that deprives the hair follicle from vital nutrients; inappropriate hair care – shampoo that is not suitable for our hair type, a comb that pulls and tear the hairs; frequent usage of different hair dyes, hairsprays and conditioners – all of these make our hair thinner and make it fall. We can eliminate most of these reasons for hair damage if we change our hair care habits. But stress cannot be fully removed and it is one of the major reasons for hair-loss. 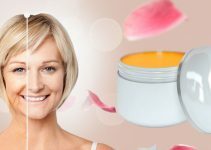 Modern cosmetics offer plenty of different solutions – hair conditioners, crystals, medicinal shampoos, and masks are just a few of the options you have for thorough hair care without having to visit a hairdresser once every other week and without having to waste a lot of time and resources. The new Princess Hair mask is now also an available alternative for deep and complex hair care. Burdock Oil – the oil of the burdock fights against split ends and helps prevent tearing of the hairs. 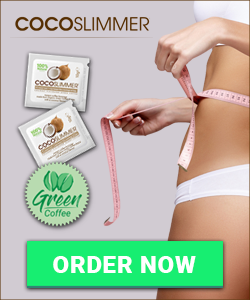 Coconut Oil – coconut has become an integral part of the cosmetics industry. As a component of the Princess Hair mask, it helps restore the elasticity of the hair and improves microcirculation. Argan Oil – argan oil is quite popular as an ingredient of hair care products. It provides deep nourishment and moisturizes the skin on the head without making it overproduce sebum. Common Reed Extract – reed extract has significant antibacterial properties that protect the scalp and fight against dandruff. Cinnamon Oil – cinnamon is extremely nourishing, it promotes hair growth and strengthens the follicle. Chamomile Extract – chamomile has a well-defined soothing effect for the skin on the head, it is anti-allergic and helps protect the scalp. Vitamin E – deeply nourishes the hair follicles and helps reduce hair-loss. Vitamin A – provides a natural shine and strengthens the hair from root to tip. The new hair care mask Princess Hair has an organic origin and provides for a thorough and all-natural care. It promotes the thickness, strength, and shine of the hair. That is all thanks to the carefully selected natural ingredients featured in its complex composition. How to Apply the PrincessHair Mask? Apply the mask on clean hair to allow it to affect it with ease. Dirt can obstruct the penetration and beneficial action of the mask. Spread the Princess Hair mask evenly on the length of your hair, careful not to split it. Let it stay and do its magic for 5 minutes then wash off with lukewarm water. It is important to stick to the provided instructions for application if you want to help your hair regain its vitality and strength. Regular use and a treatment of at least 14 days is recommended in order to make good use of the hair care PrincessHair mask. If you truly care about the condition of your hair, you should start paying attention to what you eat, whether it is nourishing enough and if it contains vitamins and minerals, useful for the hair. Carefully select a suitable comb or hairbrush that will not break and split your hair. You can also start making gently massaging your scalp when showering to stimulate good blood circulation. How to Purchase Princess Hair Mask? 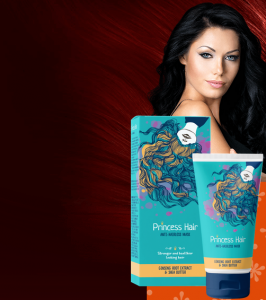 The licensed distributor in only one and you can get the authentic product only from the official Princess Hair hair care mask’s website. Leave your up-to-day contacts when filling the form on the site because a company operator will contact you to specify certain details, including shipping address and desired quantity. Currently, there is an active Princess Hair promotion and you can get your mask at a 50% discount. Your order will arrive by courier to the specified address. The payment method is cash on delivery. 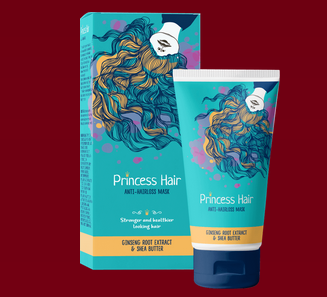 The all-natural composition of the Princess Hair hair care mask is suitable for all hair types. It does not feature GMOs or other impurities and has no known side effects. All it provides is beneficial nourishment for your hair and the hair follicles. Give yourself the shine and softness of a thick and strong hair that will boost your confidence!